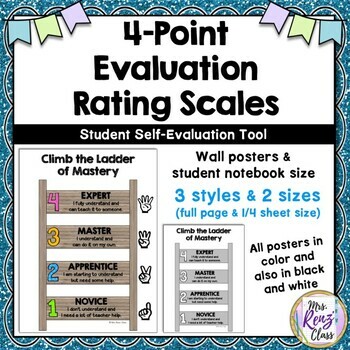 Teach students to self-assess their mastery and "Climb the Ladder of Mastery" with this simple rubric that is similar to the Marzano rating scale. 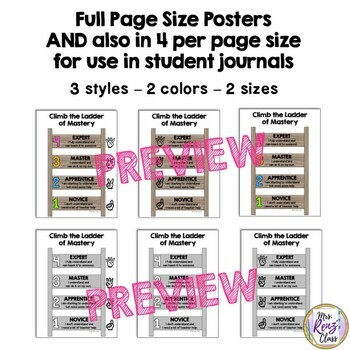 This poster and student journal set uses a 4-point scale and comes in full page size and also in 4 per sheet size to fit in student journals. There are 3 designs to choose from and the posters come in color and also in black and white. 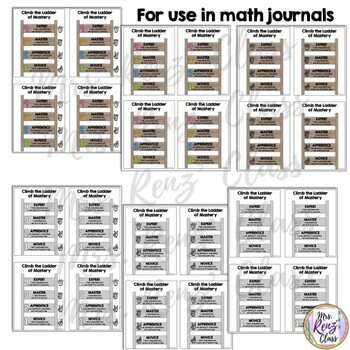 See the preview to see the posters and rating scale close up. I have a 5-point scale rubric here. •	Evaluation Rating Scales. 4-point Marzano-like.